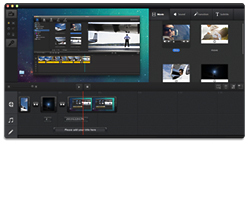 Ephnic Movie Maker for Mac helps you turn your photos, video and music into stunning home movies. 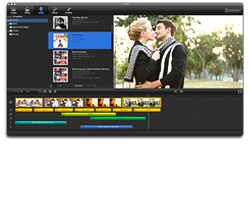 There are hundreds of built-in effects including themes and transitions to make the movies look dazzling. You can add as many background music and subtitles as you like for your personalized home movies. Ephnic Video Converter for Mac converts your videos to a format optimized for iPhone, iPad, Apple TV, or a variety of other video formats in minutes for sharing on facebook, YouTube, Vimeo, Twitter and more. 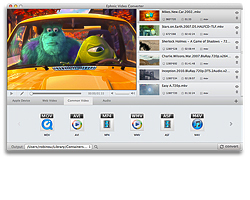 Get this powerful video converter software for Mac and start converting your videos & audios to any popular media format. With Ephnic Screen Recorder for Mac, you can record everything on your computer screen. The best way to illustrate something happening is to show someone with the video demos. Whether you want to train people on a difficult program or show everyone how to fix a problem you've run into before, recording a screencast is an easy way to do it. 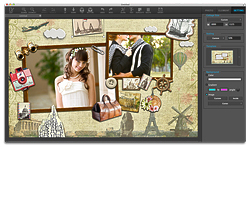 Ephnic Photo Collage for Mac is an easy-to-use digital photo collage maker & digital scrapbook making software. Making photo collages is a great way to show your most-loved photos all together, like a baby's first year, or a birthday party, etc. After a fun vacation or a wonderful event, use digital photo collages to bring your photos to life. It's secure and hacker safe to purchase online with Ephnic. 100% safety guaranteed! Free English technial support provided! Get response within 2 business days. Upgrade to the latest version for FREE once it's released!